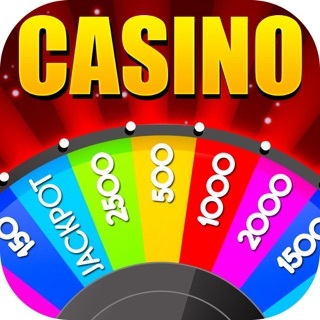 SPIN the reels and WIN BIG in the #1 Vegas-style social casino game. Join over a million players, socialize, and have fun! Get a WELCOME BONUS of 1,000,000 Free Coins for new users. Feel the thrills of massive community jackpots, classic casino games, and more in the hottest slots game of 2019! With new machines every month and friendly people to play with, you will enjoy hours of fun and excitement with DOUBLE WIN VEGAS. • Take a break and play TABLE GAMES like Blackjack and Roulette! PLAY NOW and double your fun with DOUBLE WIN VEGAS! Double Win Vegas Slots is completely FREE to play with in-game purchases! ►This game is intended for adult audiences. ►This game does not offer "real money gambling" or an opportunity to win real money. ►Practice or success at social casino gaming like Double Win Vegas Slots does not imply future success at "real money gambling." - Watch videos to collect freebies from the Shop and Lobby! - Logout from Facebook now available in the player profile. - Various Bug Fixes and UI Improvements! Enjoy the new update from Double win Vegas team! Send us some love, RATE us and give FEEDBACK! This game is good compared to other slots game I have played. High payouts, lots of free coins, awesome graphics, and cool slot themes! Good job!